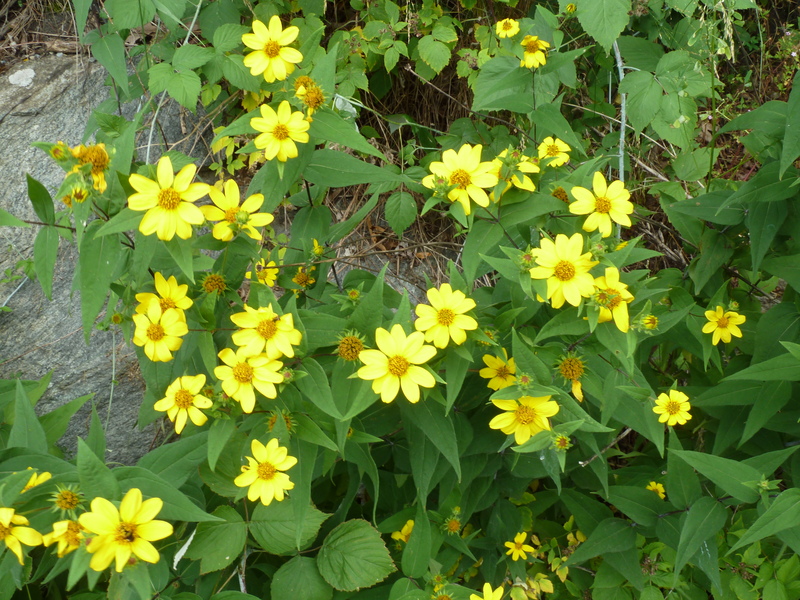 This native member of the sunflower family is a strong spreading, some would say agressive perennial with beautiful yellow daisy flowers crowning tall green leafy stalks in late summer. 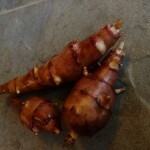 The tubers, or sunchokes, are best harvested in the late fall and are fine to harvest until growth begins again in the spring. They taste great when cooked, boiled or sautéed; and are especially delicious as a potato substitute in a German potato salad recipe. Sunchokes contain inulin and have been used over millennium to help with the treatment of diabetes. And like beans, sunchokes are “magical fruits” and can be very gassy. One tip we’ve learned to offset the gas and continue happily munching sunchokes, is to wait until the first frost of the season to harvest them or flash freeze them once they’re out of the ground. The freezing changes the chemistry of the tuber to a more easily digestible root vegetable. 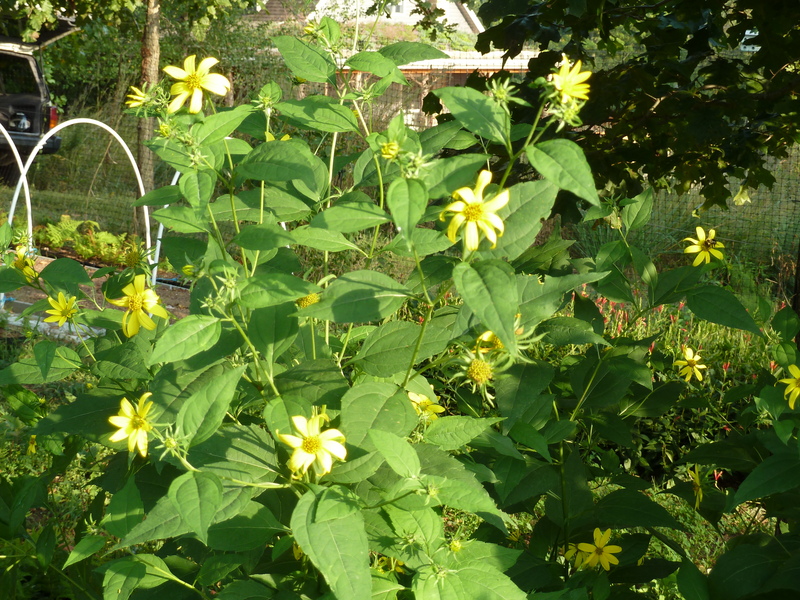 Permaculturists like Helianthus tuberosus because it’s a hefty producer and a great companion plant. 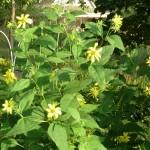 One can produce hundreds of pounds of tubers in say, a 6×16 foot garden bed, during one season. 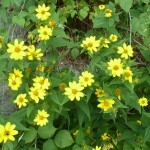 There are many varieties of this vigorous and fruitful tuber. At the moment we grow five of them Here: To be able to tell you ourselves the difference between the varieties we grow, we had a taste test one afternoon December 2012. We steamed them and sampled them they cooled- All had a potato-like texture and taste, creamy, pleasant and satisfying. ‘Red Rover’ and our ‘Generic Red’ both had a beautiful reddish-pink coloring to them when we pulled them from the earth and both changed to white when cooked, similar to the color change of purple beans. 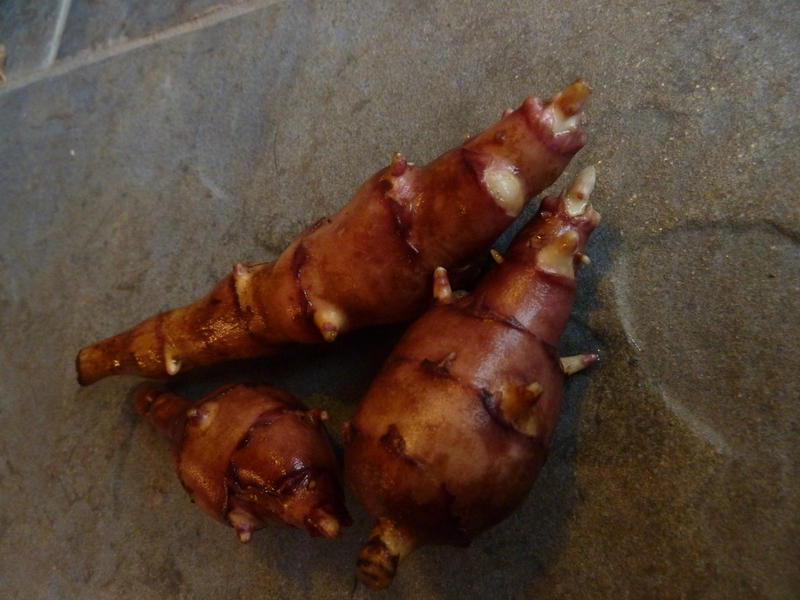 ‘Generic Red’ produced very large tubers. © 2019 Green Light Plants. All Rights Reserved.